 Senior Directory is very familiar with Elmcroft Senior Living, as we work with them across the nation. We highly recommend Elmcroft Timberline Parc for seniors who require assisted living and/or Alzheimer’s and dementia care. This community has a home-like setting, which is has proven to increase comfortability and relaxation among residents. Elmcroft Timberline Parc has both private and semi-private rooms, and staff that is available 24 hours a day. Brookdale Crown Point is our top choice of all of the Brookdale Communities in Jacksonville if you are looking specifically for memory care. Why? Because memory care is the only service they offer, and thus can solely focus on the mental, emotional, and physical needs of their patients. This is a smaller Brookdale community, with only 38 beds, but we view that as a good thing. Rooms include both private and companion suites. They also have an average of 4.5 stars (out of 5) on all major review websites. We think you can trust this facility with your elderly loved one! Arbor Terrace of Ortega is a community of trained caregivers whose mission is to provide aging adults an enriched living environment through specialized memory care programs, award-wining dining, arts and education exploration, and robust health and wellness programs. They specialize in memory care and have three programs to meet your loved ones needs: Discovery Living, Bridges Living, and Reflections Living. This charming, red brick senior living community offers Jacksonville's aging population with exceptional assisted living and memory care services. Brookdale Senior Living is one of the largest senior living providers in the nation so you can't go wrong when choosing their services. Most ratings on major review websites are either 3 or 3.5 stars; however, please take these average reviews with a grain of salt, as most people explicitly state they enjoy the environment and service offered by Brookdale Southpoint. The only real complaint are the small rooms and poor community layout. Beach House Assisted Living and Memory Care opened its doors in 2014 and is one of Jacksonville’s newest senior living communities. The benefit of relocating an elderly loved one into a new facility is the rooms are new and have very little history of resident turnover. Beach House does a great job of updating their Facebook Page with their community activities, which displays their dedication to keeping residents engaged and active. This community has 64 assisted living and 20 memory care residences, making it a medium to large senior living community. We recommend their services because they specialize solely in providing care for memory care patients. This community has a spacious layout that is comfortable for their residents, and also offers private rooms with large bathrooms. Overall, we think Thrive Memory Care at Deerwood is a good option for seniors suffering from memory loss. Harbor Chase has over 20 communities across the nation and 16 alone in Florida. The minimum assisted living cost is $4,195/month and the minimum memory care cost is $4,895 per month. This rate is on par with most decent senior living communities that offer assisted living and memory care in Jacksonville. We have yet to tour this facility, but most online reviews recommend Harbor Chase. The only complaint is the community layout is a bit triangular. Atria Park of San Pablo is one of 180 senior living communities managed by Atria across the nation. This charming, southern community is located just east of downtown Jacksonville, and only 10 minutes from several gorgeous beaches. Both 1 and 2 bedroom suites are offered. All online reviews rave about the great environment, as well as the full calendar of events created monthly by the staff. One of the best things about Batram Lakes is it sits directly across I95 from Baptist Medical Center South, thus having access to exceptional medical care just minutes away. Batram Lakes offers memory care and skilled nursing, and also is a part of Brooks Rehabilitation, which has a network of over 40 medical centers and clinics throughout Jacksonville, Florida. Overall, we think this probably is a good community due to how long it’s been in business (35 years – Brooks Rehab), large network, and quality online reviews . Anam Parc at Susan Woods is ranked at the bottom of our list of senior living communities in Jacksonville mostly because it is hard to find any real information on them. They have several positive reviews on APlaceforMom and Alzheimers.net but besides that we cannot locate a website for them. We do know that they provide Alzheimer’s and dementia care. We also know that they are independently owned and operated. Like its sister community, this a tough cookie to rank on our list because there isn’t much information about this community online. We haven’t yet toured this community so it’s hard to give a solid recommendation either for or against their services.